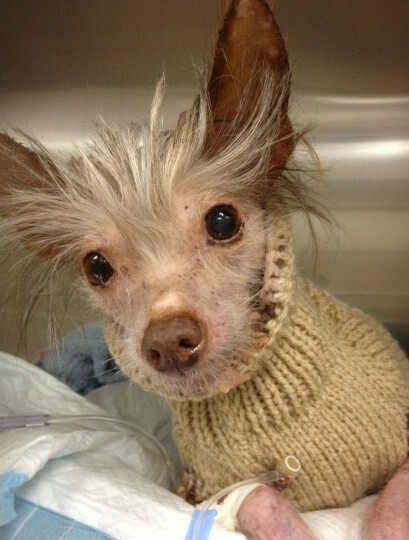 The SPCA improves the lives of many, many dogs but Milton deserves his own story. 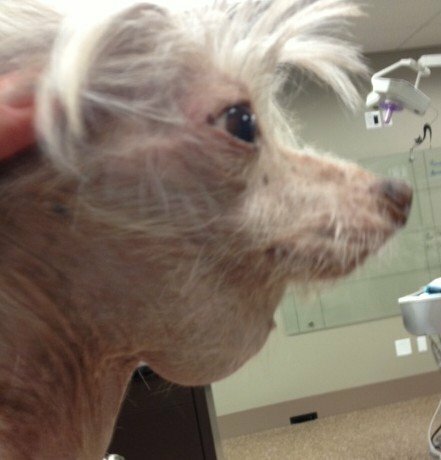 When he was brought to us his problems included rotting teeth, multiple skin masses, overgrown nails, a heart murmur, a “sialocele”, and a face only a mother could love. What is a sialocele? This is literally a sac of saliva that has developed due to a blockage in the normal flow of saliva into the mouth. The sac hangs down under the jaw and is often mistaken for a goiter. Sometimes there is a small stone (sialolith) or the duct has been damaged. Regardless, the salivary glands that feed this sac must be removed in order for it to be permanently corrected. Milton’s was a “cervical” sialocele that is fed by the submandibular salivary glands. 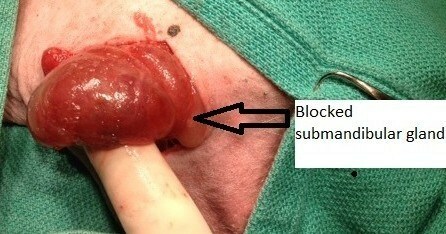 The picture below shows the intra-operative appearance of the salivary gland. We removed the gland as well as the duct to the mouth and drained the sac. Afterwards we also took care of his dental disease, his skin and nails. 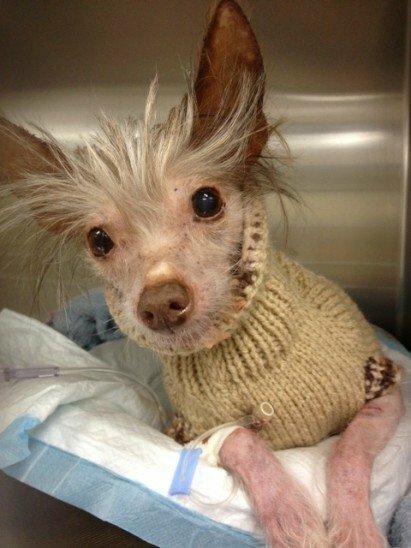 Milton’s recovery was smooth and today he is enjoying a new lease on life.